As we enter a new year, it is often a time of new resolutions and goal creation. Before you do any of that however, you may benefit from writing a personal mission statement to make sure you are centered and focused on what matters most to you. Many people are familiar with mission statements for businesses but have never thought to write a personal mission statement. The process is great for making sure you are taking a mindful approach to life. It is also great for those that want to slow down their life a bit and simplify. Having a personal mission statement can help you get rid of the excess things in your life that aren’t congruent with your core self. 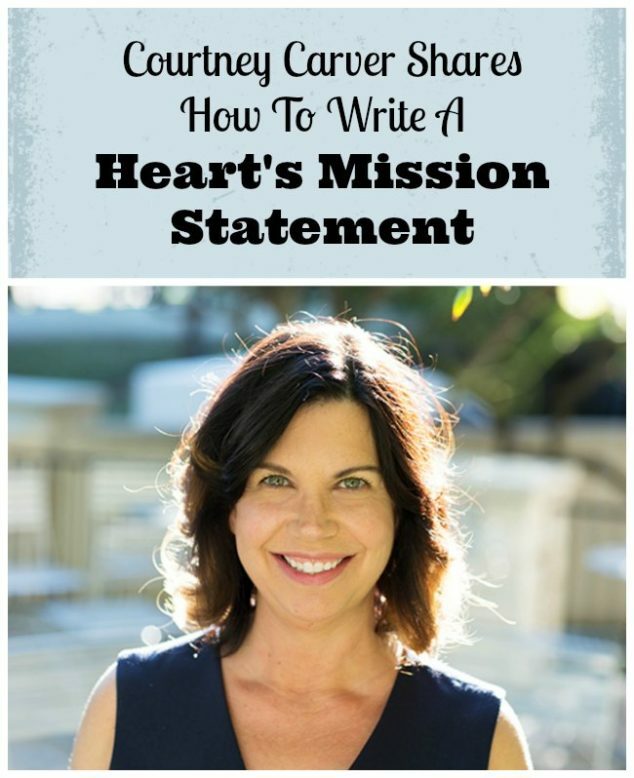 I am pleased today to have a real expert on the subject of wholehearted living, Courtney Carver, share with us her tips on how to write a personal mission statement. Courtney’s blog Be More With Less and her capsule wardrobe Project 333 rose to such great popularity that it led her to be featured in the Netflix documentary Minimalism. 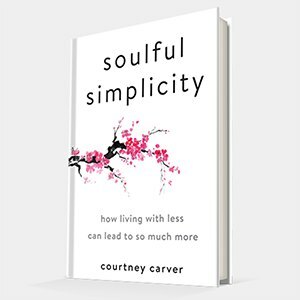 And now, Courtney has a powerful book that just released in December through Penguin Random House titled, Soulful Simplicity: How Living with Less Can Lead to So Much More. The book is about how simplicity in all areas of our life can lead to more wholehearted, engaged living. You can get your copy at major book retailers or Amazon, affiliate link below. The following excerpt reprinted with permission and is from Chapter 32 of Courtney Carver’s book Soulful Simplicity: How Living with Less Can Lead to So Much More (Tarcher/Perigee, a division of Penguin Random House). Create a mission statement as a personal guide for working and living your soulful truth. Don’t use fancy words or Google “how to write a mission statement.” Instead, put your hands on your heart, close your eyes, and listen. Then write about what’s important to you. Include who you are, and what you do to support that. You can share your heart’s mission statement, but you are writing this for you. Once you articulate who you are and what matters to you, you’ll have a better idea of how to align your actions with your heart. I work toward full clarity on what is most important by getting rid of everything that isn’t, and by saying no to things that don’t matter. To matter, they must support health and/or love in my life. I create boundaries so that I am free to expand in the best directions and don’t feel pressured to go in all directions. I reject perfection, comparison, and competition. I don’t resent the past, or let the future dictate the present. I am firmly rooted in the present, and to support that I take time to listen to my heart and feed my soul. The quiet messages from my heart and soul guide my decision making in life and work. I trust myself to know that what feels right and good usually is right and good. I lift myself up with good food, meditation, movement, and creativity so I can lift the people around me, including my close friends and family and anyone else who needs something as simple as a smile, or as complex as massive change in their life, or work. In my work, I inspire people to simplify their work and lives so they can discover and enjoy what matters most to them, so they can find their way back to love. Think of your mission statement as a soulful framework that guides you instead of a strict list of rules. My mission statement describes how I want to live, but like all humans, I forget. When I notice things are getting messy, I go back to basics and remind myself to start again. When I forget my soul and get caught up in the show, or begin to lose myself, I come back to my heart’s mission statement. Then I remember. Use Your Mission Statement to Serve . . .
Before you take care of anyone else, you have to serve yourself first. You have to put yourself before the people you serve at work and the people in your day-to-day life including family, friends, and community. Because to serve, you need something to offer, and if you are depleted, overwhelmed, and under inspired, your offering may be diluted or misleading. If you want to give your best, become your best. These are the people we love and support, but also the people we often try to fix. Serving your family isn’t always about fixing things or solving problems, it’s about being there. 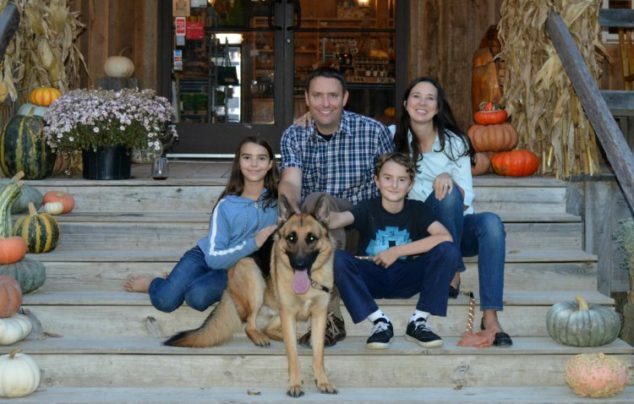 The very best way to serve your family is to show up and be present. Be there. Eliminate the distractions that prevent you from seeing, hearing, and appreciating the people you love. To serve your neighborhood, country, or the world, start by loving them. Then be honest enough to demonstrate your imperfections and weaknesses. Be open to giving and receiving love with people you don’t know very well, might not understand, or don’t agree with politically, spiritually, or otherwise. Learn from them and trust that when you serve them, they serve you right back. When you put people first, you naturally build purpose into your work (even if you don’t love your job). And when you get the combination of loving your work and serving people in alignment with what you care about . . .watch out, world. Revisit your mission statement when you are making a difficult decision, when you are feeling defeated, or when you simply want to remember who you are. Thanks’s again to Courtney Carver and Tarcher/Perigee, a division of Penguin Random House, for allowing us to share this the excerpt from Soulful Simplicity: How Living with Less Can Lead to So Much More. Here is my affiliate link to the book on amazon should you wish to learn more or order a copy. 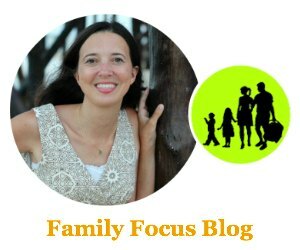 I hope you find this useful when you write your personal mission statement and that it guides you in creating a joyful, fulfilling life that you are proud of. Have you ever written a personal mission statement before? Which tips were most meaningful to you? As the joy and warmth of Christmas offsets the chill of winter and sets up our mood to step into the next year, here’s a list of five New Year resolutions for your family to work on in 2018.